Now that Intel's "Poulson" Itanium 9500 processors are out and Oracle is supporting its database on HP-UX 11i v3 running atop those processors, HP CEO Meg Whitman has two fewer things to worry about. The life of Ric Lewis, the new general manager of the Business Critical Systems division who took over that job late last week, is a whole lot easier, as well – now BCS can get back to peddling Itanium-based servers and boosting HP's bottom line. 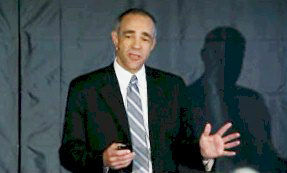 HP, for its part, wanted to show that the Itanium processor has some life, with a roadmap going years into the future. They also wanted folks to know that Intel's common platform strategy – with future Xeons and Itaniums sharing common elements on the die as well as common chip packaging, sockets, chipsets, and I/O – meshed nicely with its "Project Odyssey" effort to converge the high-end ProLiant Xeon servers with Integrity and possibly Superdome systems somewhere down the line. But that's a problem for two to three years from now. On Thursday, what HP wanted to talk about was the upgrades it has made to its entry and midrange Integrity servers, which run HP-UX, NonStop, and OpenVMS, and its high-end Superdome 2 machines, which run HP-UX. Rather than just drop the Itanium 9500s into the existing machines, HP has done a number of tweaks to create new system boards to take advantage of new features in the Itanium 9500s as well as in its HP-UX software stack. The hardware changes are not as dramatic as the shift from traditional rack and cabinet machines that HP did in April 2010 when it incorporated the Itanium 9300s, "bladed up" the Integrity and Superdome 2 machines, and left a token rx Series rack server in the mix for customers with modest OpenVMS workloads. These rack nodes are also used to build NonStop fault tolerant clusters. "I am willing to bet that everybody in this room has touched an Integrity system today," Lewis declared at the Poulson launch event. "You may not know it, but you are using them all the time." That's because some of the largest financial networks employ Itanium-based servers in one form or another, as do most of the Fortune 100. Now that we live in a world where computing and networking are ubiquitous, it's funny how we want to bank or shop wherever we are and whenever we feel like it. That compulsion, explained Lewis, is driving up demand for systems that support mission-critical workloads. Lewis did not explicitly say that it was driving up demand for Integrity and Superdome systems, but he sure wanted to imply it. And, just to be absolutely clear, HP is perfectly happy for you to buy either a Xeon server running Windows or Linux or an Itanium server running HP-UX, OpenVMS, or NonStop. "We're not going to push an architecture on customers," Lewis explained. "It is really a 'both/and' play." He said that HP was "full speed ahead" on future Itanium server development – but honestly, if it takes between two and three years to get the Kittson upgrade to Poulson into the field, as Intel implied it would, then perhaps it is more accurate to say it is the fullest speed ahead that's possible under the circumstances, and one that still gives a lot of the advantage to Xeons, as has been the case for the past decade. If you are an existing HP-UX customer running these machines, the good news is that HP is going to give you machines at about the same price using the Poulsons as you paid for systems using the Tukwilas. Intel says that in its internal benchmarks on a variety of commercial workloads that matter for Itanium, the eight-core Poulson are seeing somewhere between 2 and 2.4 times the performance of a quad-core Tukwila chip. But HP says it can do better than that, thanks to software tuning. "We have systems in the labs that are significantly above 3X," bragged Lewis. So you could get something on the order of three times the bang for the buck. HP charges for HP-UX on a per-socket basis, and El Reg checked with Kate O'Neill, director of global product marketing for the BCS division, and there are no changes in HP-UX software licensing fees between the Tukwila and Poulson machines. So there isn't a big software upgrade fee waiting for you as the core count doubles. IBM, by contrast, licenses its AIX, IBM i, and z/OS operating systems and DB2 database software by core, so even when you get more performance in the hardware for the same price, you get truly hammered with the software bill. Oracle, by the way, uses core pricing for databases and per-machine licenses for Solaris and Linux.